Galactic Pluto Totem is loyalty. 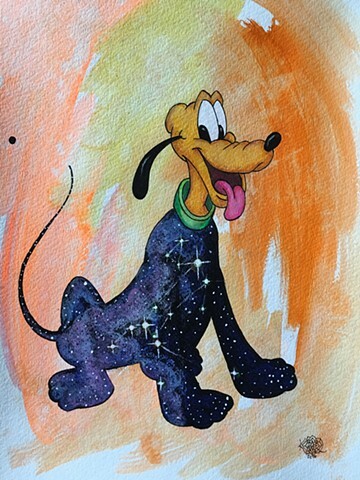 Hold Galactic Pluto in your heart when you want to embody the love and devotion of Mickey Mouse's best friend. Loyalty, reliability, friendship and love are often difficult qualities to be vulnerable enough to. But opening up these feelings will bring joy into your life. If you are interested in an archival print for $50, please message me.